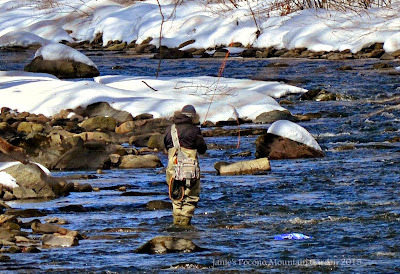 In the Pocono Mountains of Pennsylvania, there is no disputing that the seasons of Spring, Summer, and Fall come in a myriad of rich, dazzling colors. Undeniably, Winter's palette is more ... subdued. Varying shades of brown, white, gray, and black are what bathe most of the landscape from December til April. At first, you might think ... Oh, how drab and dull. Not so ... vibrant color is still there. You just have to look for it. Doesn't the bright orange of the paddle boats seem to glow in stark contrast to the gray and white snow-covered lake shore? 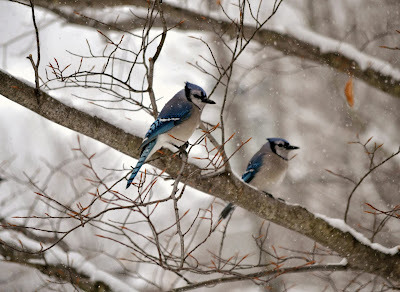 True, there is nothing really special about a pair of Bluejays perched on a white, snow-covered branch of a tree, but their brilliant blue plumage easily catches one's eye. 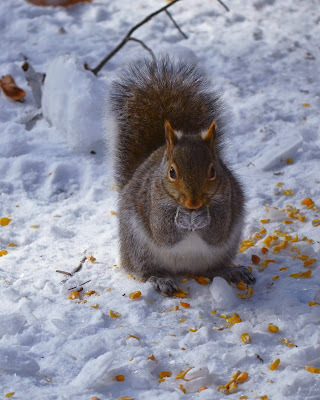 And this fat, little squirrel? Don't you just love the tinges of gold in his thick winter coat? How about this photo? What do you see first? I bet you'd say the terracotta-colored flower pots! You probably wouldn't even notice them if the pots were white. Simple enough. It's just a woman in a bright red jacket and her dog out for a walk on a cold Winter day. Did you guess that they are walking on a frozen lake? Another brave soul. 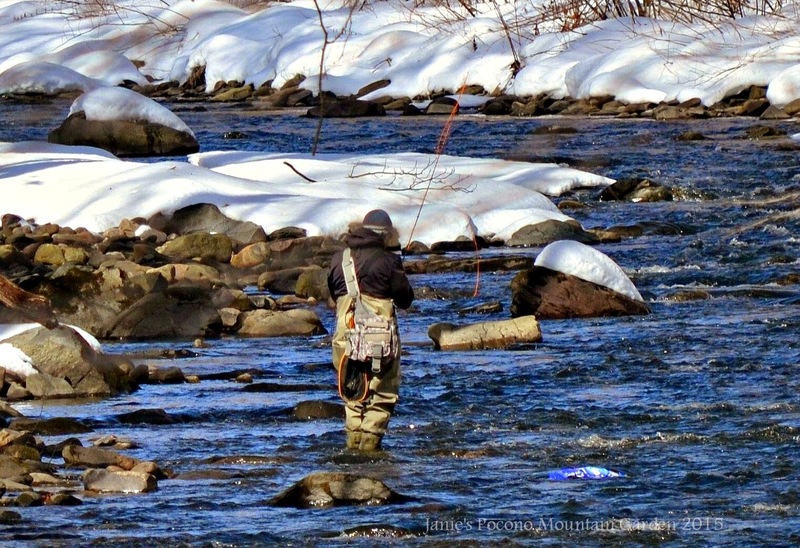 A hopeful fly fisherman braving the dark blue cold waters of a flowing Pocono stream in late Winter. And lastly, what would the Poconos be without our whitetail deer? In Spring, Summer, and Fall they have the almost uncanny ability to seemingly melt into the very fabric of the rich greens and browns of the woodlands and forests. 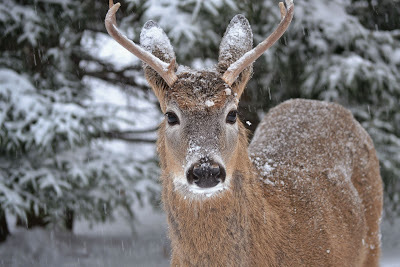 Yet, it is the very starkness of Winter ... the grays, whites, and blacks ... that reveal just how beautiful they really are.